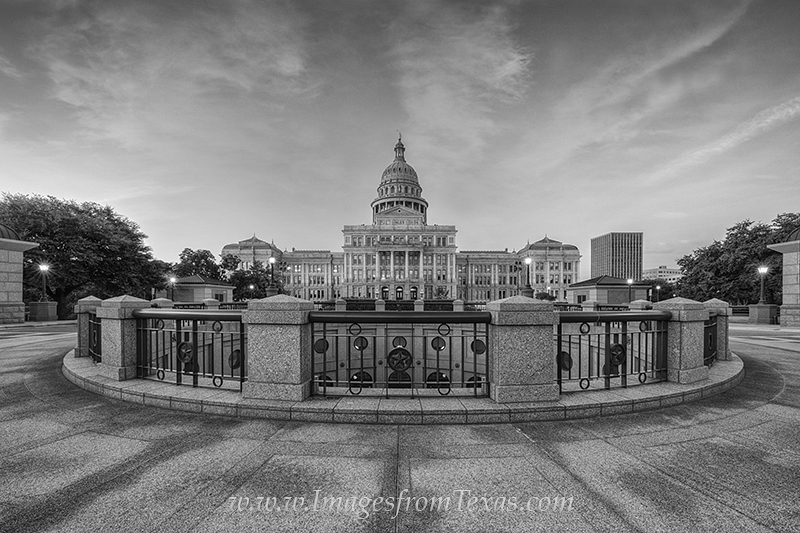 This black and white image taken at the Texas State Capitol near downtown Austin shows the north side of the building. This relatively new addition - a 65 foot deep rotunda - was finished in 1993. Photo © copyright by Rob Greebon.